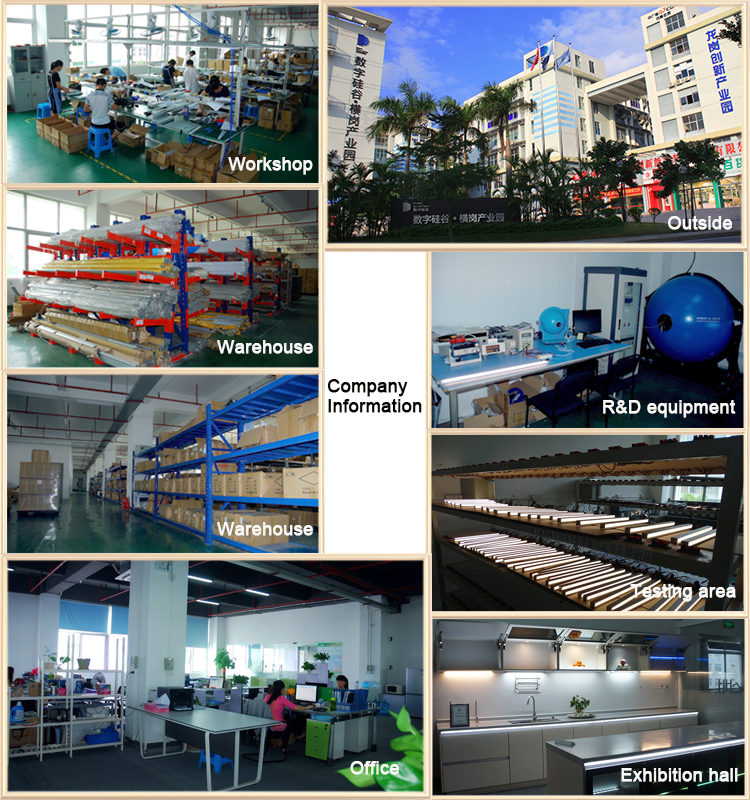 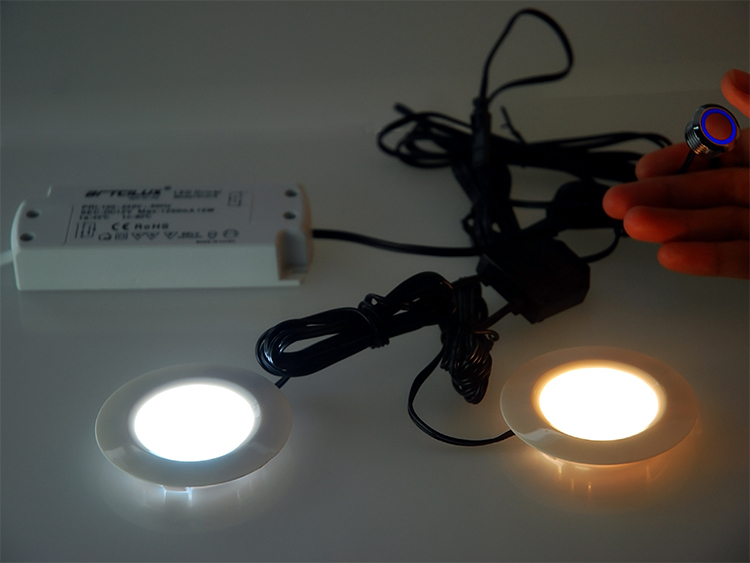 Dimmer sensor, motion sensor, hand sensor, invisible sensor etc. 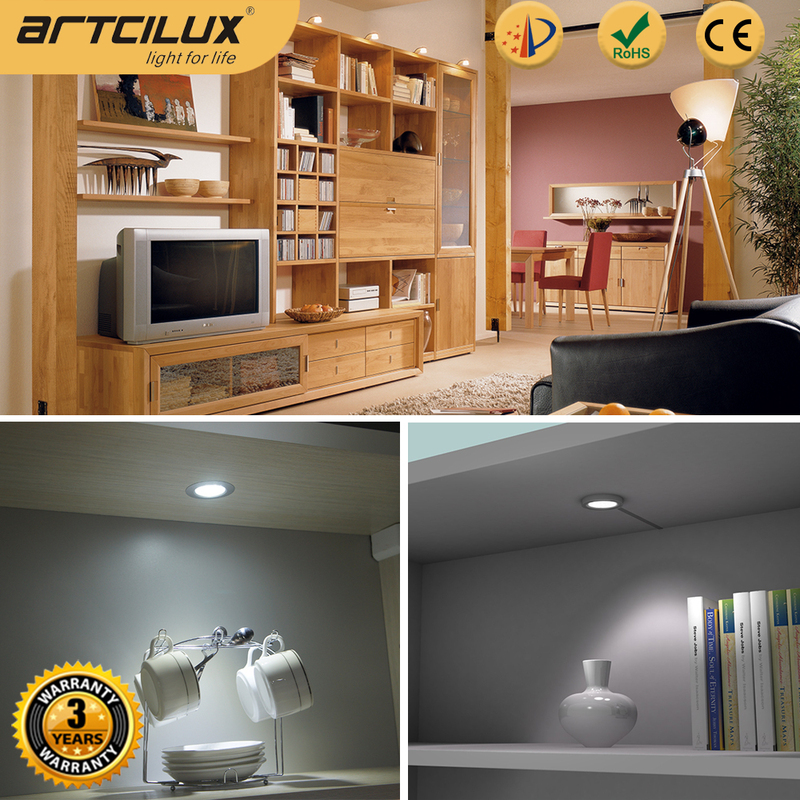 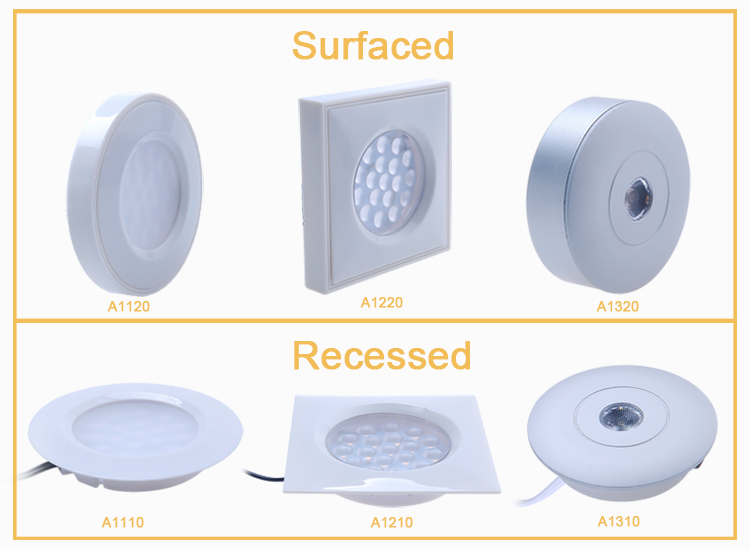 A1120 dimmer sensor led spot light is processed by optical system, A1120 led spot light processing the light advantages of high lumens, fast dissipation and well- proportion lighting. 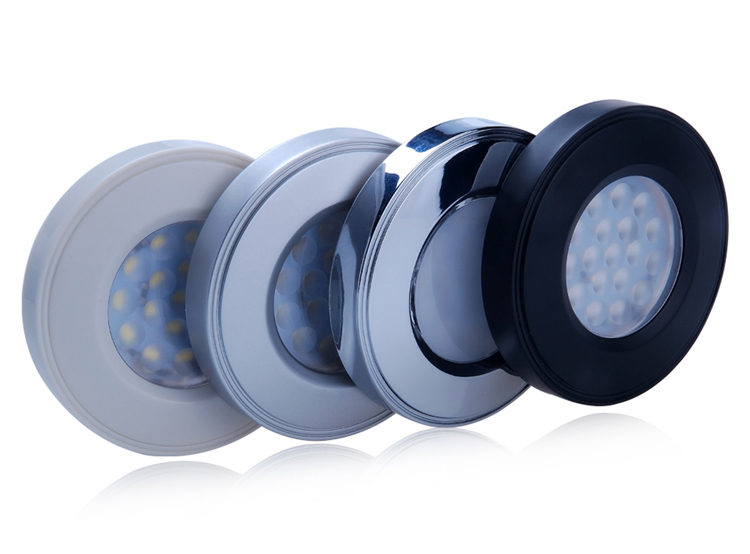 it is widely used in showcase, cabinet, kitchen cabinet and furniture. 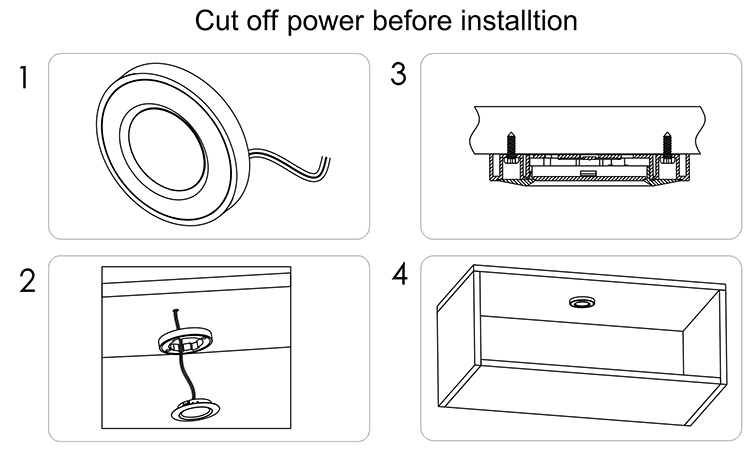 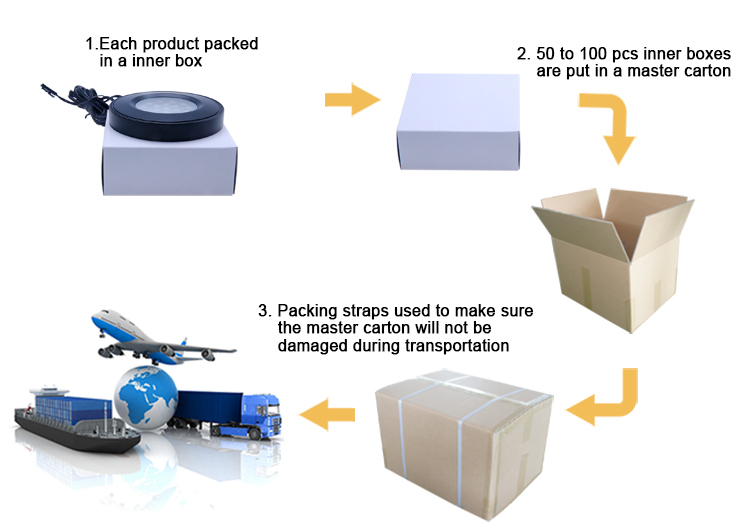 The surface mounting box offers the installation without any hole in the cabinet. 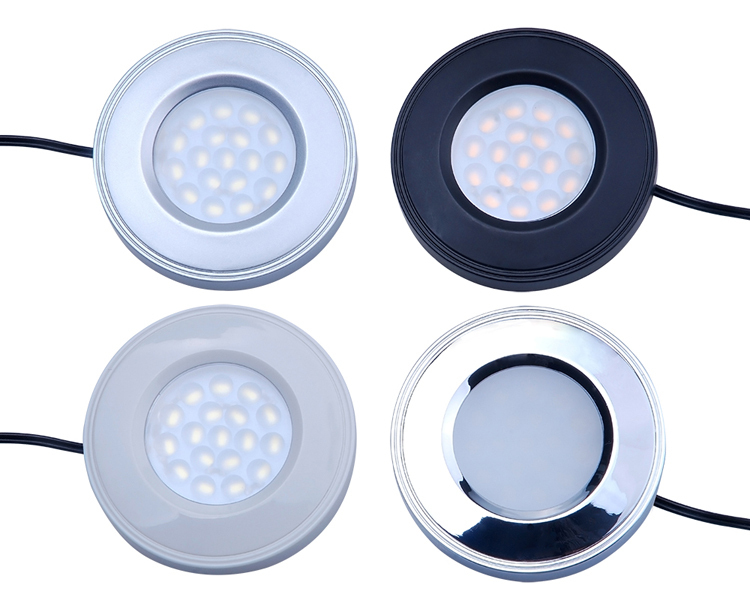 The led cabinet light can be connected to realized its extensive functions and cost saving by using dimmer switch / IR switch (hand shaking trigger / door trigger) and 3 / 4 / 6 / 10 way splitter. 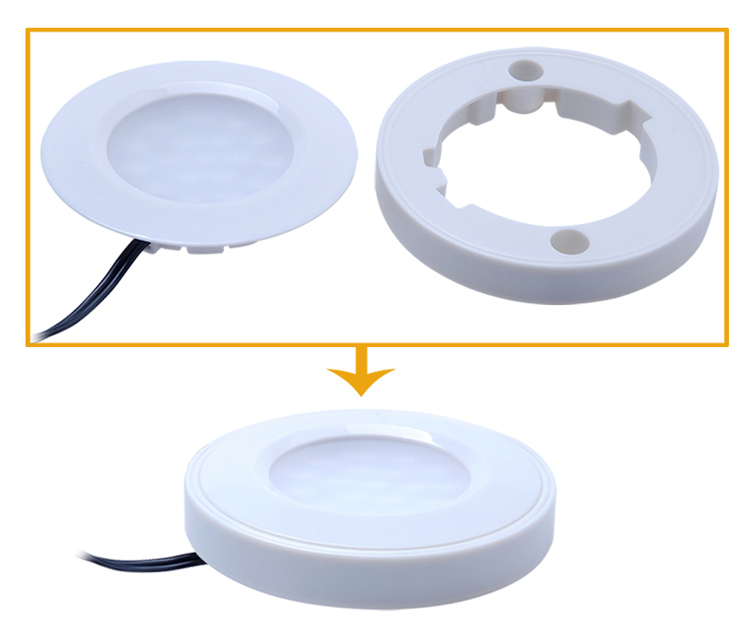 Part three: A lamp can realize two installation ways------just take off the ring, it is a recessed one.